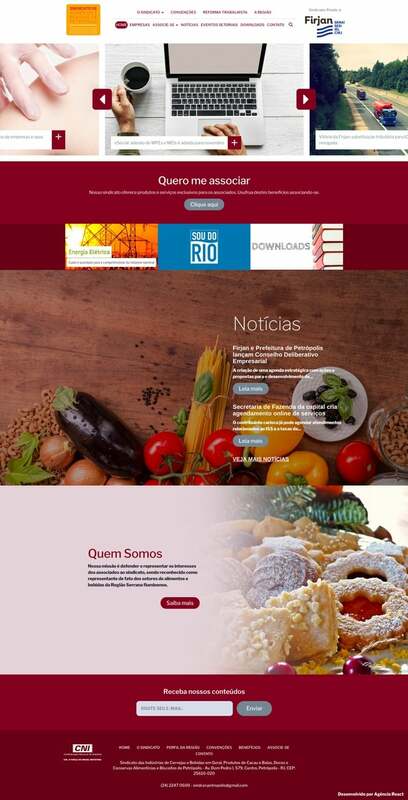 Firjan (Industrial Federation of Rio de Janeiro) is a institution that helps transforming the industry in the state of Rio de Janeiro through a collection of actions. One of the main actions that Firjan uses for strengthen the industry is to help various industrial segments. This activity is done by the Management of Associativism, which shown us the following challenge. The Management of Associativism from Firjan identified that a great parcel of the worker’s union had a lack of digital communication. One of them was their websites, which were already obsoletes, most of them being created in the last decade. In this context, Firjan contracted React for designing new websites for 10 employees’ unions with better communication, easing the dialogue with the companies. The websites needed to be standardized (helping the post maintenance by the clients) and have easy updating routines, since not all workers’ unions have marketing professionals capable of doing it. React studied in conjunction with Firjan, the communication needs of the workers’ unions, with the goal of designing a pilot project that could be reproducible for meeting the number of 10 workers’ unions. 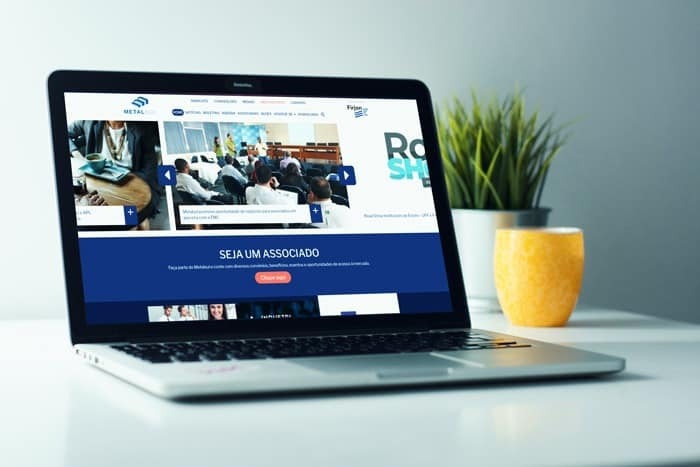 The project was planned with ease in mind, so that we could change colors, fonts, backgrounds and the whole institutional apparatus (texts, logos, pictures, amongst others), delivering the websites with speed as the data were collected by the Firjan’s team. Administrative Dashboard in WordPress to enable that the own workers’ unions could update their websites. Our team shared a video training for them so the knowledge couldn’t be lost with time. Spaces for Institutional Contents standardized according to the needs raised. In addition to the news, standard tools were also created to download content, events schedules, amongst others. Associated Companies’ Portfolios. Through this area, the workers’ union can display its associate companies with lots of information like adresses, pictures, products lists, contact information, amongst other services. Each company receives a login and password for updating their own data in the administrative dashboard. There’s a security tool that only displays the updated information after the workers’ union’s approval. Optimized mobile experience. 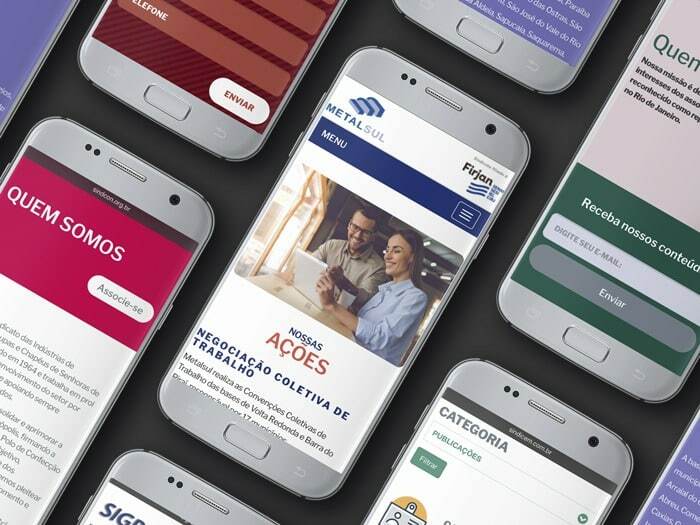 The whole project was designed so that its use in a mobile form factor was natural, taking into consideration the expressiveness of the mobile internet usage in Brazil.